Artist note: Many thanks to Mel for being very patient with me about this picture, and to Holly who helped me translate the card's symbolism for our world and did the layout sketch! 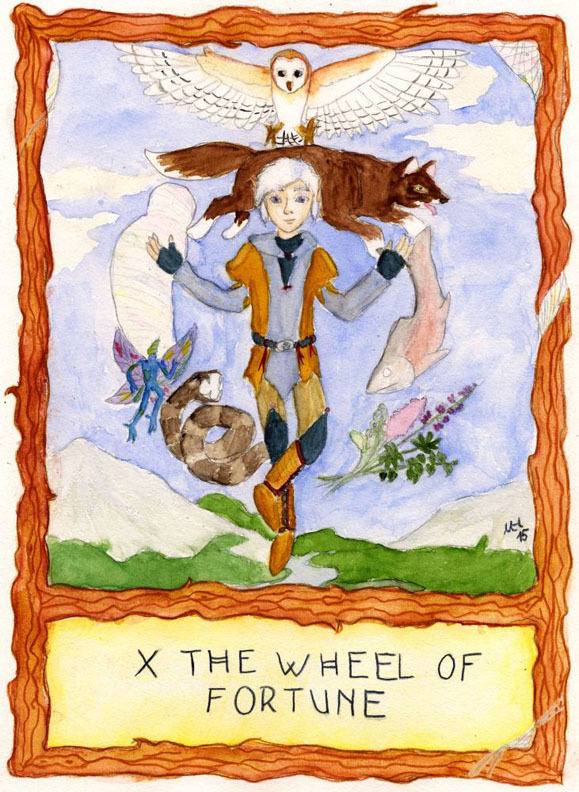 The Wheel of Fortune is about the ever-changing nature of life, "what comes around, goes around". It is about embracing these changes and challenges that come with it and taking the matters in your own hands, too. It fits Newt both for the great changes he has undergone in his short life, and also for his optimistic nature and willingness to work to overcome any challenges life throws his way.